Recently, the makers of Mahanati, the much-awaited biopic on legendary yesteryear heroine Savithri, unveiled the first look of Vijay Deverakonda. The first look showcased a smiling Vijay as he sits on an old scooter and carrying an antique Yashica analog camera. 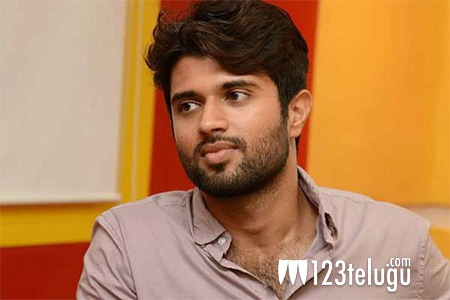 As per the latest reports, Vijay Deverakonda will be seen as a journalist in Mahanati. Also, Vijay reportedly plays Samantha’s love interest in the movie. Even Sam plays a journalist named Madhuravani in the film. Mahanati has Keerthy Suresh essaying the titular role. The film is being directed by Nag Ashwin and bankrolled by Priyanka Dutt under Vyjayanthi Movies Banner. Mahanati is hitting the screens on May 9.